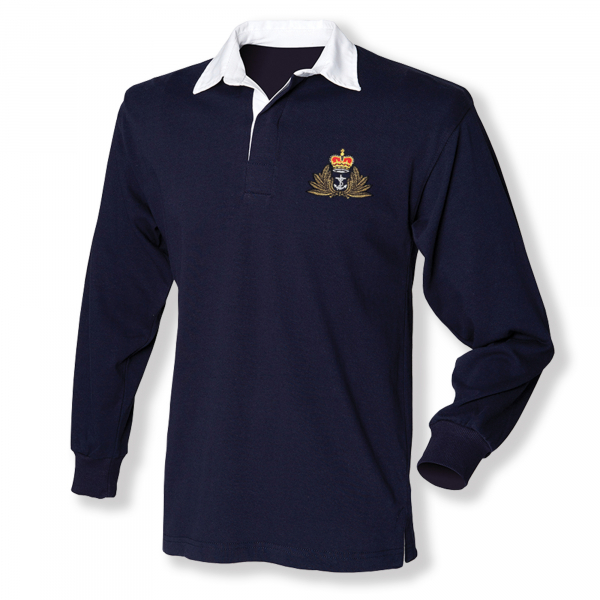 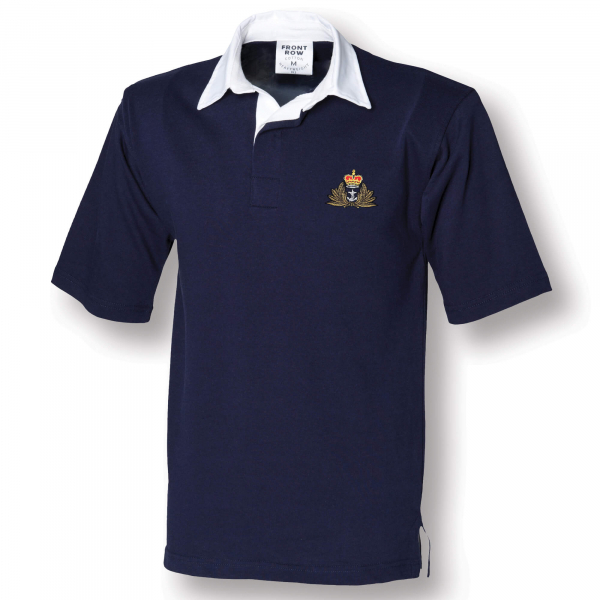 A smart high quality navy blue rugby shirt for informal casual wear. The shirt features traditional styling with taped collar and reinforced shoulder seams and side vents. 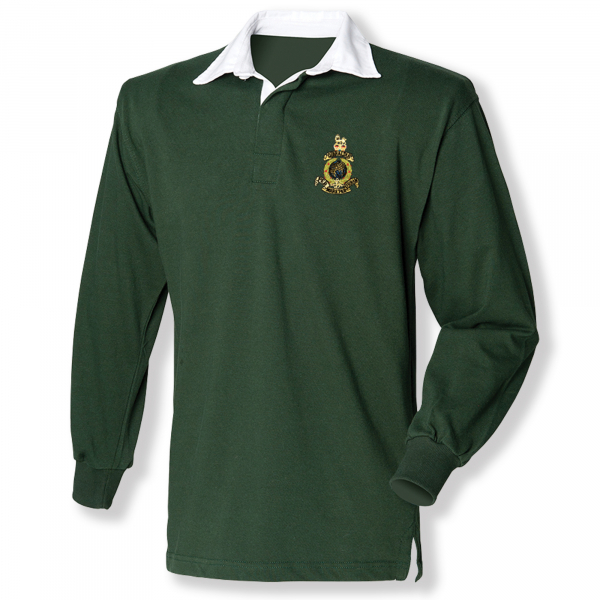 Made in 100% cotton with elastane ribbed cuffs and can be personalised with an embroidered military or veteran badge.